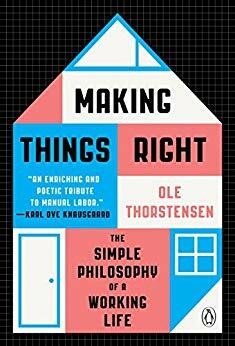 Making Things Right: The Simple Philosophy of a Working Life. Making Things Right is the simple yet captivating story of a loft renovation, from the moment master carpenter and contractor Ole Thorstensen submits an estimate for the job to when the space is ready for occupation. As the project unfolds, we see the construction through Ole’s eyes: the meticulous detail, the pesky splinters, the problem solving, patience, and teamwork required for its completion. Yet Ole’s narrative encompasses more than just the fine mechanics of his craft. His labor and passion drive him toward deeper reflections on the nature of work, the academy versus the trades, identity, and life itself. I disagree. NOT unfashionable at all. Beautiful. That is so beautiful. A piece to be proud of and to pass along to the next generation. My gosh, that’s just gorgeous! Great job. 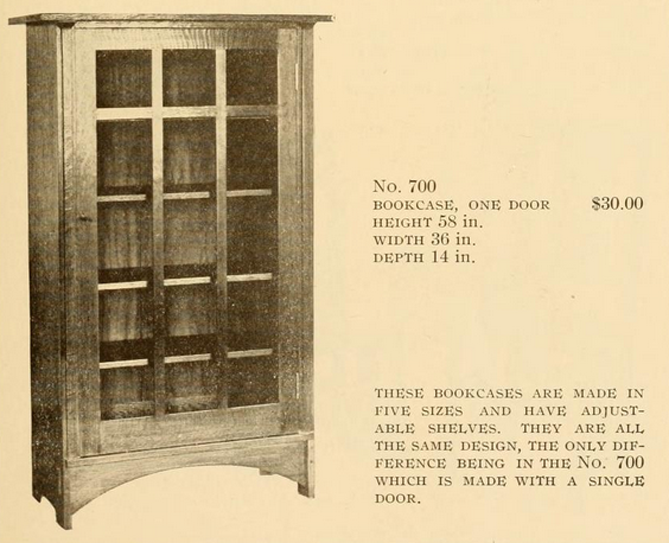 And I wholeheartedly agree with you about Arts & Crafts era furniture. There’s something so…whole about it. WOW! Proud moment! This is incredible! I have always been a fan of Arts and Craft furniture and of the pottery and linens too. Your work is fabulous. Congratulations! I agree with all the commenters. This is a joy to behold, and it is a joy to think about you as a human using your creative gifts and skills you’ve learned over the course of your life, your attention to detail, and obvious love of beauty and wood to make it. Did you also make the picture frame above the book case? Yes and it was much easier to make than the bookshelf! It’s my fave as well. That’s a wonderful bookshelf. If you ever have the chance or inclination go to The Clearing Folk School in Ellison Bay Wisconsin (or just look at pics on the website. The windows!). I wandered around last April and wanted to move in. Congratulations on a beautiful project! Thanks for the tip–looks like an amazing place. 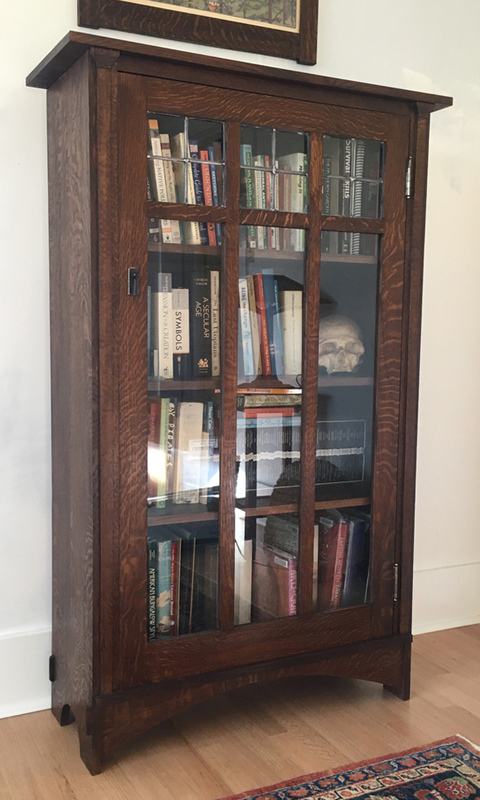 That’s a beautiful piece of furniture, especially the way it shows off the oak! As someone that is interested in one day taking on a project like that myself, I was just wondering if you reverse-engineered the plans to build it from the picture in the catalog? Or is there somewhere one can get building instructions for pieces like that?